Obama's Campaign Promises: 91 Kept So Far The Pulitzer Prize-winning Web site PolitiFact tracked Obama's promises on the campaign trail. Now, as the president's one-year anniversary in office approaches, PolitiFact takes stock of how President Obama is doing on making good on his promises. 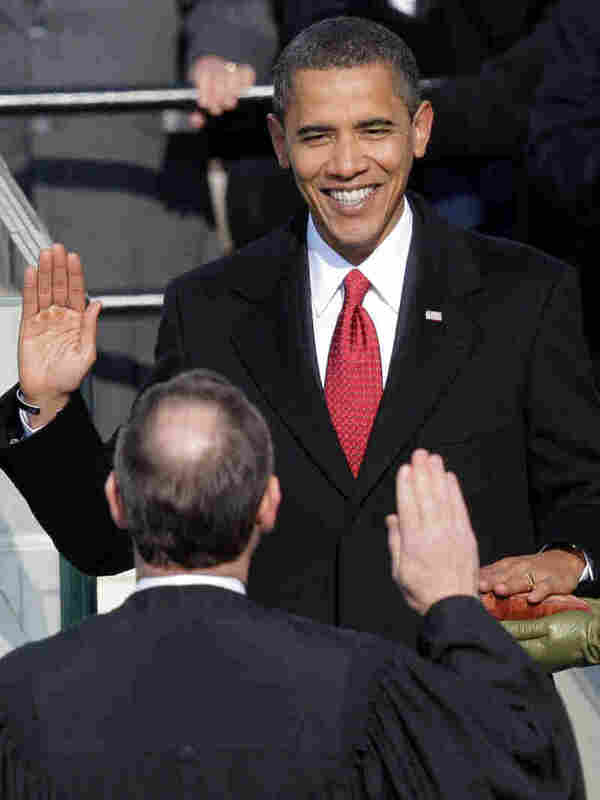 While on the campaign trail, Barack Obama made hundreds of promises. And throughout the president's first year in office, the Pulitzer Prize-winning Web site PolitiFact has tracked each one of those commitments. Just before Obama took office, PolitiFact combed through campaign documents, speeches and debate transcripts to see what promises he had made. They found more than 500 individual promises and put each of them into a database to be monitored closely. They found 91 promises have been fulfilled, 33 compromised on, 87 stalled and 14 broken. The remaining promises are designated as being "in the works." Promise No. 126 on the PolitiFact list — "To begin removing combat brigades from Iraq" — is among the many that are "in the works." "There was a similar promise that he said on his first day in office — he would bring in military leaders and direct them to end the war in Iraq. 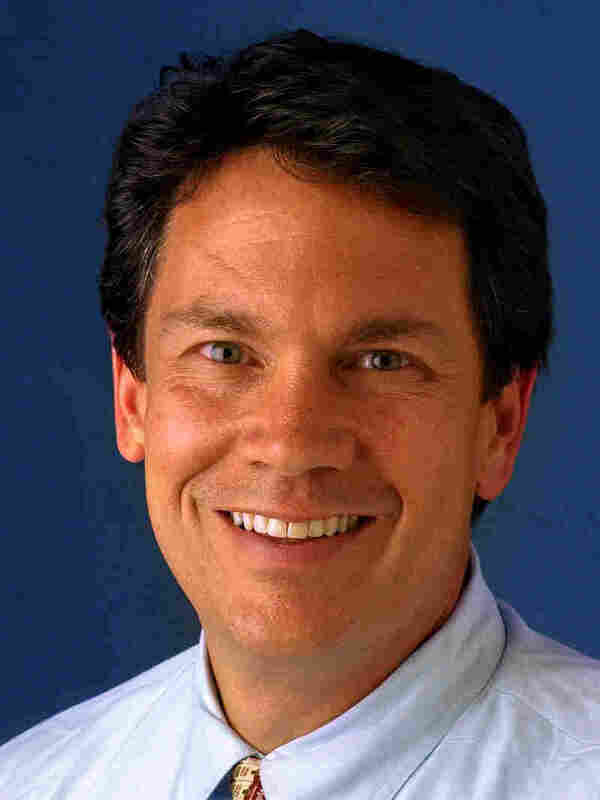 And that one is a promise kept," PolitiFact Editor Bill Adair tells NPR's Steve Inskeep. "So, he's really made considerable progress." No. 177 on the PolitiFact list is Obama's promise to close the Guantanamo Bay detention facilities within his first year in office. This has been a sticky issue for the president. He has run into political opposition in Congress and difficulty finding places to house the detainees. PolitiFact has tracked the more than 500 promises Obama made while on the campaign trail. "Still, there's been some progress," Adair says. "So we've got that one rated 'in the works.' "
In other areas, the president has been less successful in living up to his word. During the run-up to the election, Obama spoke frequently about the need to purge the government of lobbyist influence. He called for new rules to make it more difficult for people to pass back and forth between public office and special interest organizations. "This gets to a key theme during his campaign, which was that lobbyists were not going to run the Obama administration," Adair says. "But ... in Washington, the lobbyists are the people who know how the place works, and so he appointed lobbyists to some key positions and basically created loopholes in the policy for them." Adair says Obama's track record on issues of transparency and open government generally have not been stellar during his first year. Promises to televise the health care negotiations on C-SPAN fell through. "He got in office and discovered [that] you can't cut deals on C-SPAN," Adair says. "And so we have that one also rated 'a promise broken.' "
Many of Obama's health care promises are rated "in the works," but Adair says that if a bill to overhaul health care passes, many of the president's promises will likely be kept. Some of Obama's biggest promises have stalled, like those made to the gay community. Frustration and impatience have begun to boil over as Obama has yet to live up to his promises to repeal "don't ask, don't tell" — the policy that bans openly gay individuals from serving in the military — and the Defense of Marriage Act, a federal law passed in 1996 that defines marriage as exclusively between a man and a woman. Gay rights groups have grown frustrated with Obama, who has stalled on his campaign promises to repeal the military's "don't ask, don't tell" policy and the federal Defense of Marriage Act. 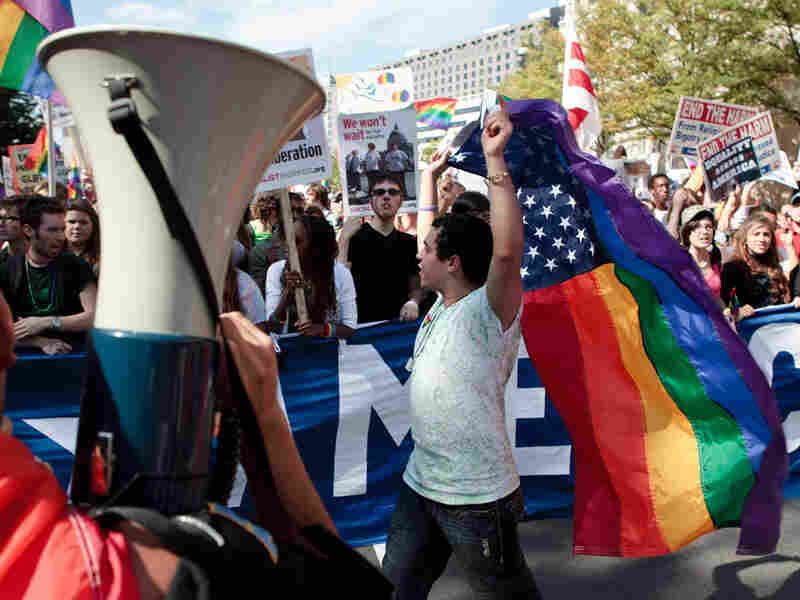 In October, gay rights activists convened in Washington, D.C., to voice their discontent. In Adair's assessment, the decision not to fulfill those promises in the first year was a political calculation by the administration not to take on too many controversial projects at once. Looking ahead to Obama's second year in office, Adair says he thinks the president will be thwarted in the fulfillment of many of his other promises due to budgetary constraints. "I think the big theme for a lot of the promises in the coming months will be reconciling the cost of these things with the federal deficit," Adair says. "That's going to be really difficult."